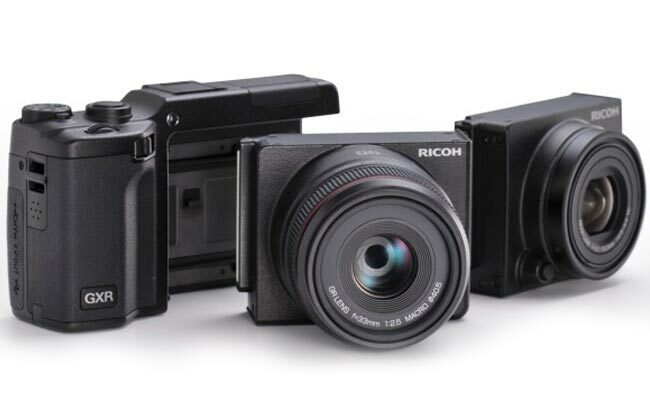 Richo has announced the developement of a new expansion unit it is currently creating for its GXR interchangeable unit camera system, that will allow you to use Lecia M mount lenses as well third-party M-mount lenses including ones from Voightlander and Carl Zeiss. The new GXR Lens mount unit will now allows integration with Leica M lenses and use them for shooting with the GXR. The lens mount unit is being designed to make the best use of the optical characteristics of the lenses mounted. It will have as its image sensor a 23.6 mm × 15.7 mm (APS-C size; total pixels: approx. 12.90 million) CMOS sensor, and it will also feature a newly developed focal plane shutter. The new GXR lens mount unit will be showcased at the at the CP+ Camera & Photo Imaging Show in during February 9th – 12th at Pacifico Yokohama and will start shipping worldwide during the Autumn of 2011.